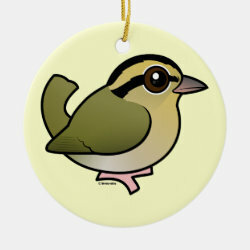 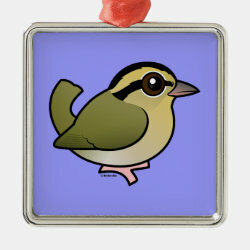 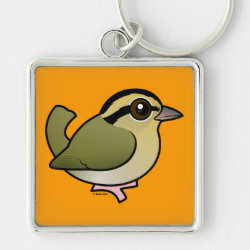 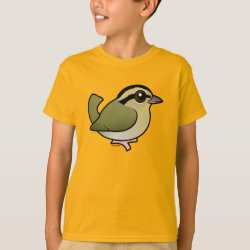 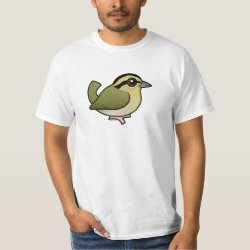 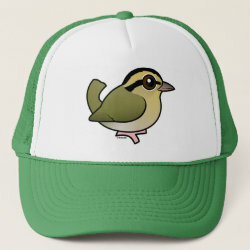 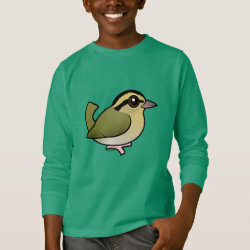 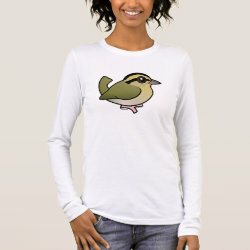 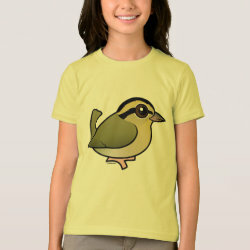 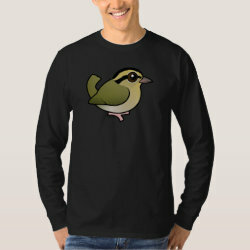 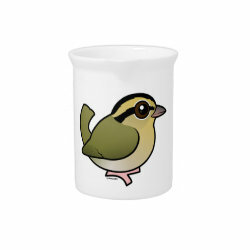 The Worm-eating Warbler is a small species of New World warbler. 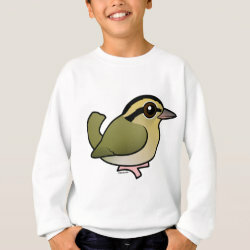 They are migratory, breeding in southeastern forests in the United States and heading south to the Caribbean and parts of Central America for the winter. 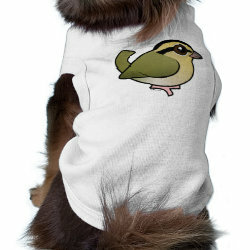 They more... have a lovely muted plumage which mixes olive-brown body feathers with black and brown head stripes. 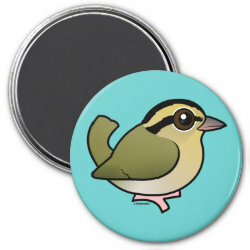 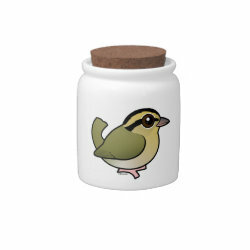 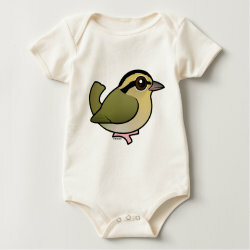 This is our totally cute Birdorable Worm-eating Warbler! 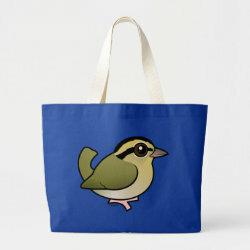 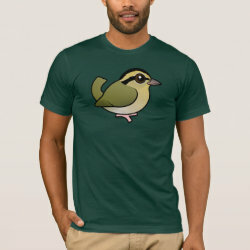 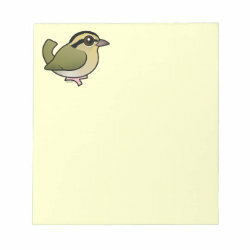 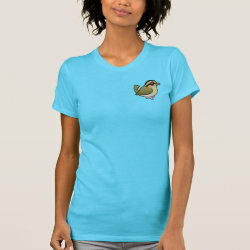 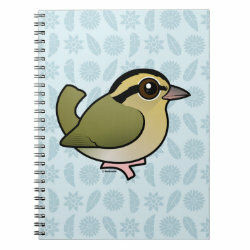 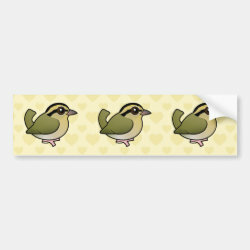 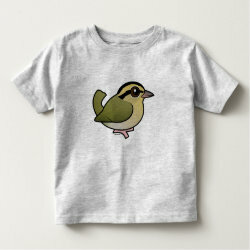 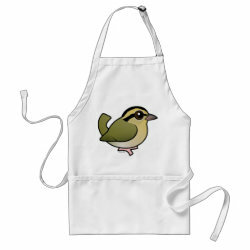 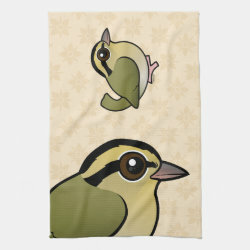 Worm-eating Warbler Kitchen Towel 16" x 24"